This hostel is absolutely lovely. The 3 ladies that run it were very kind, hospitable and patient. They always tried their best to make sure we were comfortable. They stored our luggage for free when we went to Torres Del Paine for 9 days. Highly recommended! Atmosphere isn’t very communal. Common area was kind of cold and people didn’t seem to hang out there. Lots of rules but the ladies who run it are very kind. Place was very clean and the beds were comfy. Overall I would recommend if you’re looking for a more quiet place to stay. It is right around the corner from Erratic Rock which provides lots of info about camping in Torre Del Paine which was super helpful! Yeah good value and nice people! 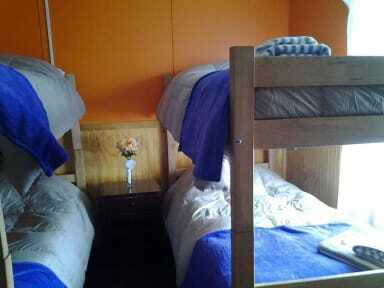 Very comfortable beds, hot showers and clean kitchen (although no frying is allowed, strange). Nice complimentary tea and coffee. But PLEASE turn on your heaters!! Everyone in the common area was freezing and talking about the temperature, yet the worker never turned on any heaters all afternoon and night. After spending 5 days on the W Trek, you just want to be in a warm environment. The breakfast isn't great, a tiny bowl of oats and large dry, bread roll with only sweet toppings available. You are not in peace in this place. The staff is after you all the time saying what to do and remembering you the kitchen is open only until 9.30pm. Breakfast is included, coffee or tea, one piece of bread, butter and jelly. Wifi works well. If you miss your parents this is the perfect place you are looking for. They will make your bed even if you leave all the things on your bed.They will wake you up at 10am to do the room. If you do not pay the first they they will ask you every day for the $. Initially staff were ok, but my food &belongings were touched by staff, food taken out of fridge, my bag placed behind someone elses belongings at other side of room, and my towel I had placed on a hanger was locked into a cupboard by the staff. Yes taken and locked away. The hostel was cold, breakfast consisted of bread, butter, jam, tiny portion of oats, tea & coffee. No lockers. Staff abusive, I moved out before my check out date, incorrect refund given but hostel clean. Do not stay here! 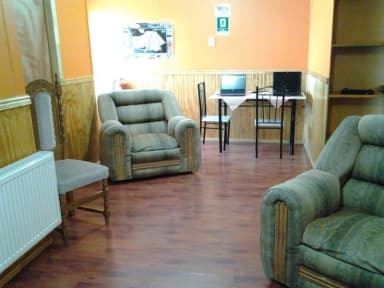 In 5 months of travelling South America, this is the worst hostel I stayed at. The rooms are really cramped so there’s no space to even move in there. The place doesn’t feel very clean and the breakfast is laid on the tables the night before and left there overnight. However, the very worst part is the RUDE STAFF. They made me feel very unwelcome, constantly demanding things angrily. They even banged on the bathroom door when a girl was in the shower demanding money from her. DO NOT STAY HERE!! !